Harvard University Press, 9780674545236, 304pp. On April 20, 2010, the crew of the floating drill rig Deepwater Horizon lost control of the Macondo oil well forty miles offshore in the Gulf of Mexico. Escaping gas and oil ignited, destroying the rig, killing eleven crew members, and injuring dozens more. The emergency spiraled into the worst human-made economic and ecological disaster in Gulf Coast history. Senior systems engineers Earl Boebert and James Blossom offer the most comprehensive account to date of BP's Deepwater Horizon oil spill. Sifting through a mountain of evidence generated by the largest civil trial in U.S. history, the authors challenge the commonly accepted explanation that the crew, operating under pressure to cut costs, made mistakes that were compounded by the failure of a key safety device. This explanation arose from legal, political, and public relations maneuvering over the billions of dollars in damages that were ultimately paid to compensate individuals and local businesses and repair the environment. But as this book makes clear, the blowout emerged from corporate and engineering decisions which, while individually innocuous, combined to create the disaster. 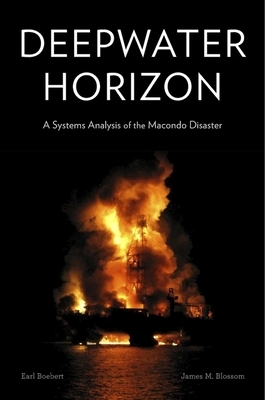 Rather than focusing on blame, Boebert and Blossom use the complex interactions of technology, people, and procedures involved in the high-consequence enterprise of offshore drilling to illustrate a systems approach which contributes to a better understanding of how similar disasters emerge and how they can be prevented.